While there may be no direct feature to collect donations in Cart66 Cloud, it is definitely possible and very easy. In this tutorial we will outline the things you can do with Cart66 to collect donations with preset amounts and then show you exactly how to set it all up in 7 very simple steps. There are several ways to collect donations. 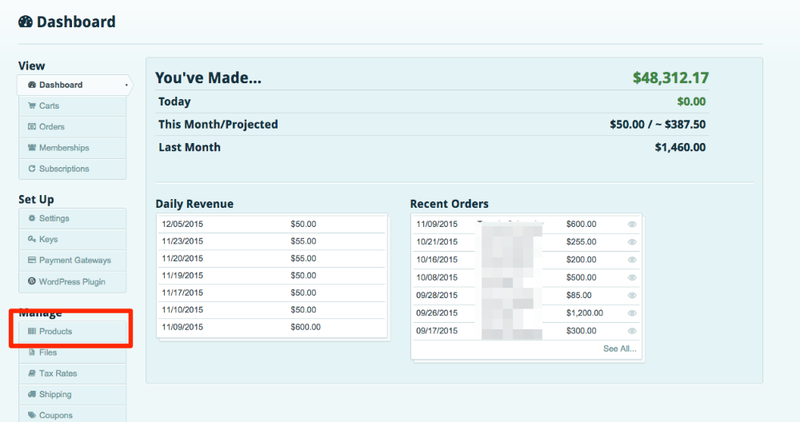 Some users like to enter their own amount, some like to choose from a set list of amounts (as outlined in this tutorial) and then some like both options with the ability to make those amounts recur each week, month or year. In this article, we will cover setting up a simple donation product where the customer can choose from preset or predefined amounts that they would like to give. This is particularly useful for some companies more than others, depending on if their giving amounts are required to be predefined for purposes like giving levels or campaign levels. IE: Some companies have Gold, Silver or Bronze levels that require a specific amount to join but receive different rewards for giving to those levels. Step 3: Enter a product name. I like to use "Donation Product (preset amount)” or the like for this since we are using preset amounts, but you can all it whatever you wish. Same for the SKU. Use whatever works best for you but be sure to use something that make sense and is cohesive with the product name. We’ll use “donate_preset” for the SKU in this example. In this step you will also be required to enter a product price to $0. 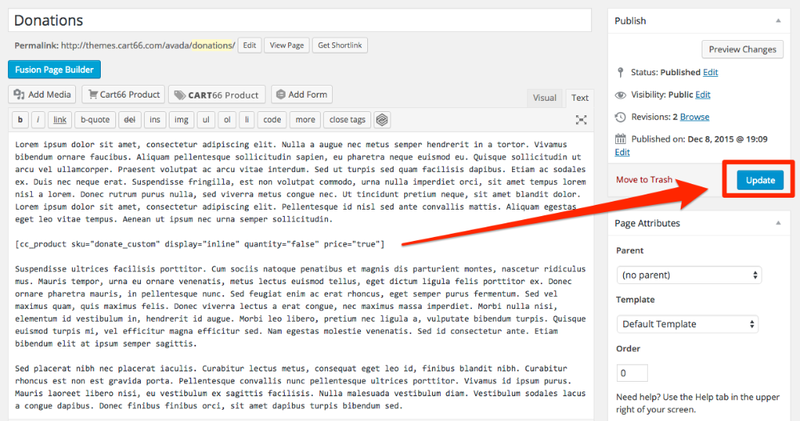 Note: It is required to give the product a price at this step or you will receive a validation error if you click save. 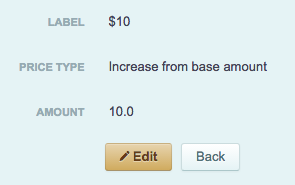 Next, I like to add some custom text for the button since we know users are going to ONLY donate with this product. Give Now would be a good action word to use for this and probably help with conversions. Note: Unfortunately, at this point, the process takes you back to the products overview page. But you must click Save first, in order to add variations as required in this next step. 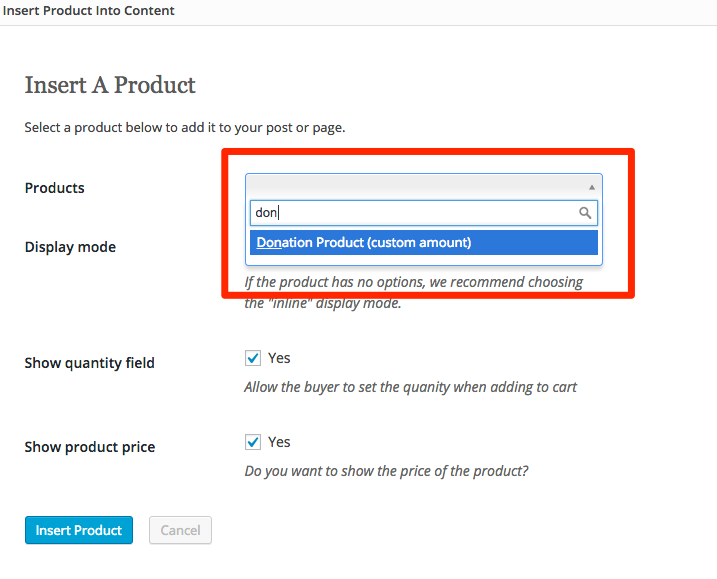 Search for the product you just created on the products overview page. Click + Add New Variation and the select Choice-Based as seen below. 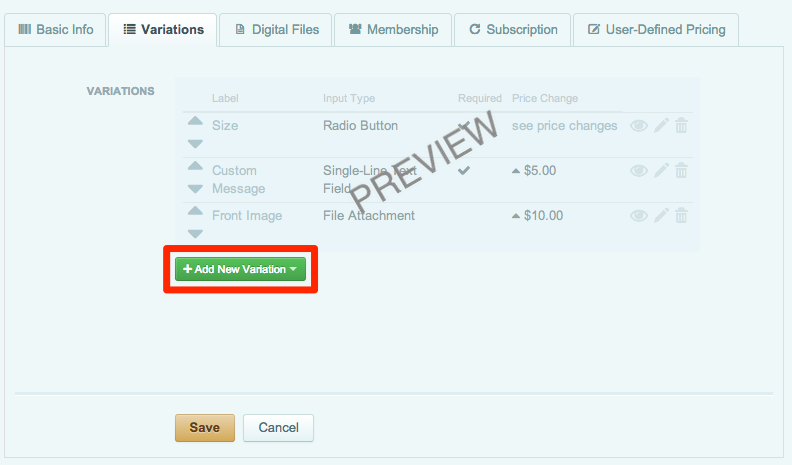 This will take you to where you will create the label for the variation, define input type (if it will be a radio button, drop down or checkbox), if it's required, as well as a simple instruction. You can use whatever works best for you for these fields. You can see in the image below what those fields become on the front end of our actual donation page. Next, we need to add the actual variation choices, which in this case, are the actual giving amounts. This will take you to where you actually fill in the fields to define your variation for the first giving level. This is where it gets a little tricky. Once you understand it though, its very easy. Because we set the base amount for this product to $0, we need make sure that we Increase from base amount that amount between the next amount. Confused? Don't be. You will see what I mean in this next step. Click Save and let's add the next amount. Let's say you want the amounts to be $10, $100 and $200. (You can create as many as amounts as you would like. For simplicity's sake, we'll just list 3 here.) 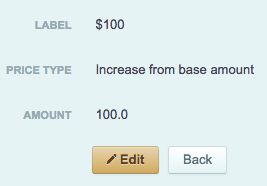 That means the next amount you will create will need an increase from base amount of $100. And the next one you create for the $200 amount will need an increase in the base amount of $200. Just use the initial amount you created for the increase amount. Got it? 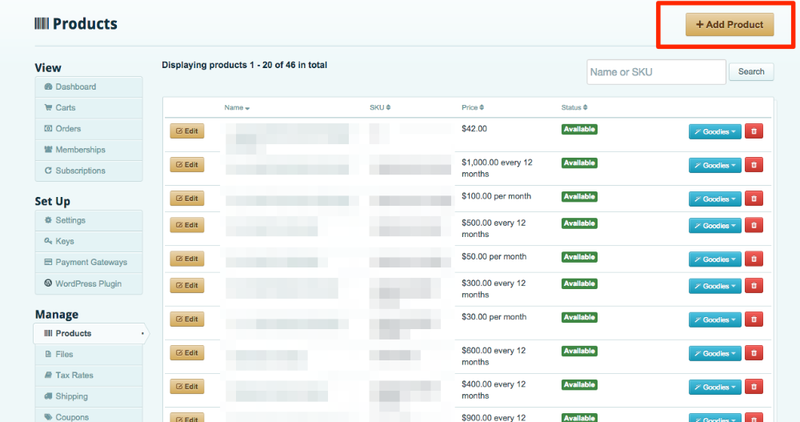 Go ahead and create all of the amounts you wish to create and you are now done with adding the product to the Cloud so it’s off to WordPress we go! Congratulations! 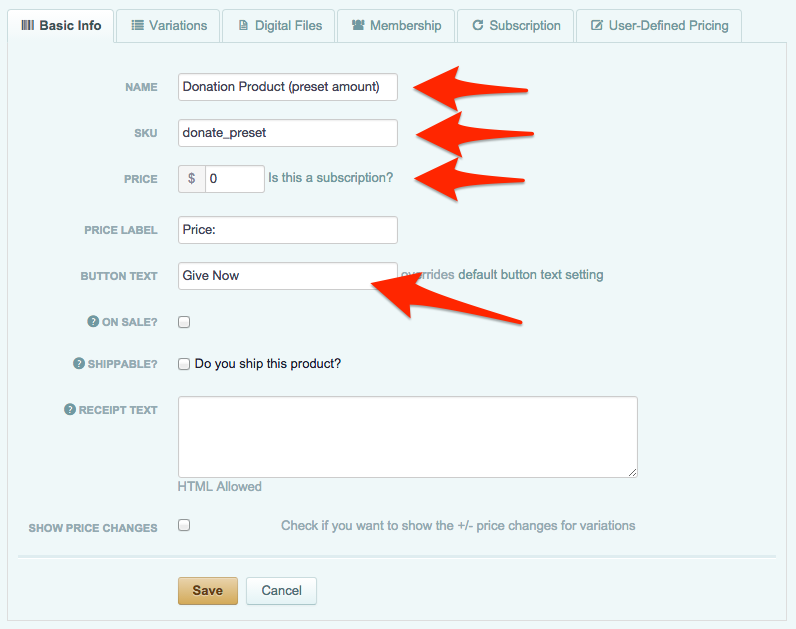 You have now created a donation product where users can select from a preset amount they wish to give and it is inserted into your WordPress site so users can start donating now in just 7 easy steps. This should take about 5 minutes or less! Tip: By following similar steps above, you can also create a variation to let the user choose where they would like the funds to be designated. IE: You could have a handful of variations like: I want my funds to go to the Children Department, I want my funds to go to the Adult Department, I want my funds to go where you best seem fit. That way the user feels that not only did they choose an amount right for them, but they can designate where they feel their donation would be best used. Another tip is that you can use radio buttons instead of a drop down so the user can see all of the giving levels at first glance.